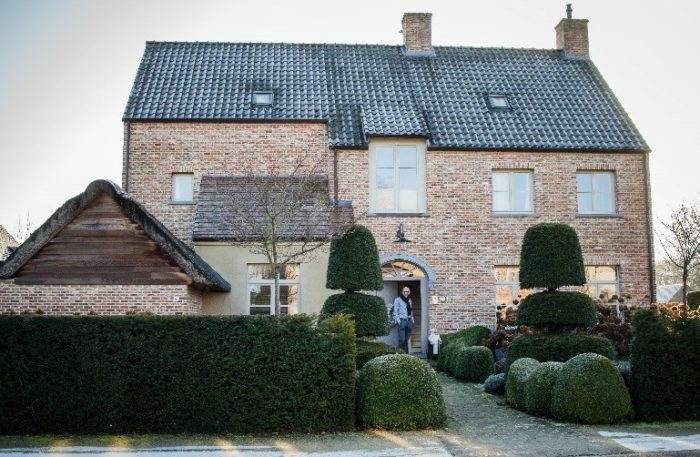 Mr. Van Den Berg, the owner of a large single-family home in Westerlo, in Northern Belgium, chose a BlueGEN unit to reduce his energy costs and become independent from the continuously growing prices of power from the grid. 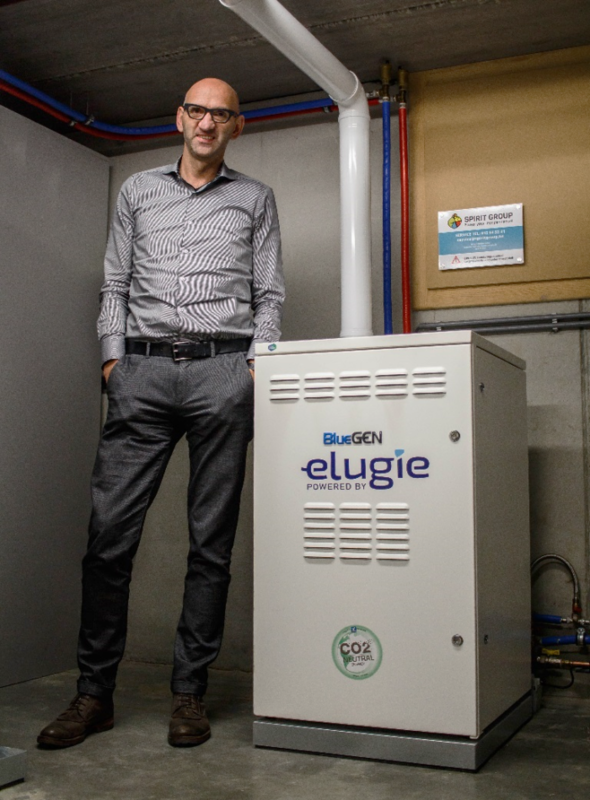 The BlueGEN installation of Mr. Van Den Berg was realised as part of ene.field, the largest European demonstration project of the latest smart energy solution for private homes, micro-cogeneration, which allows more than 1,000 households across Europe to experience the benefits of this new energy solution. BlueGEN is a natural-gas-powered micro-Cogeneration appliance based on SOFC (Solid Oxide Fuel Cell) technology, an innovative, clean and reliable way to generate electricity and heat on-site, continuously throughout the year. The BlueGEN of SOLIDpower is the perfect solution for the reduction of energy costs of single and multi-family homes as well as small and medium business. A single unit can generate up to 13,000 kWh of electricity per year and provide up to 200 liters of hot water per day, thereby reducing the energy required by the heating system. It is easy to install, requiring only connections to the power grid, mains water and gas and broadband internet and it can be combined with almost any type of existing heating system. Van Den Berg’s project represents an ideal case of a fuel cell micro-cogeneration appliance installation in a residential building: a BlueGEN unit has been installed in combination with a 300 liters hot water tank for heat recovery and the system provides the electricity required by a pre-installed heat pump, about 5,000 kWh per year, and thereby optimizing the energy consumption of the building and reducing its carbon footprint. Mr. Van Den Berg is very satisfied with the performance of his BlueGEN, which has helped him to significantly reduce the amount of electricity imported from the grid: with an annual consumption of his building of about 15,000 kWh, the BlueGEN allows for an almost completely independent self-generation and consumption of energy, reducing the amount of electricity imported from the grid to only 2,500 kWh. The installation of the BlueGEN unit in the house of Mr. Van Den Berg in Westerlo was completed in November 2015 and has been carried out by the exclusive BlueGEN Partner for Belgium, Elugie, formerly Solar Spirit. “The main reason that leads our customers to choose Fuel Cell appliances is the independency from the electricity prices of the grid. We are proud to support the deployment of this technology in our market, which shows great potential” said Bjorn Van Haver, director and owner of Elugie.